The Port of New Orleans (Port NOLA) received the Plan Excellence Award from the American Planning Association (APA) Louisiana Chapter Oct. 4, 2018, for Port NOLA’s Strategic Master Plan, Port NOLA Forward, a bold vision to deliver significant, sustained economic benefit throughout the Port’s three-parish jurisdiction – Jefferson, Orleans and St. Bernard Parishes. 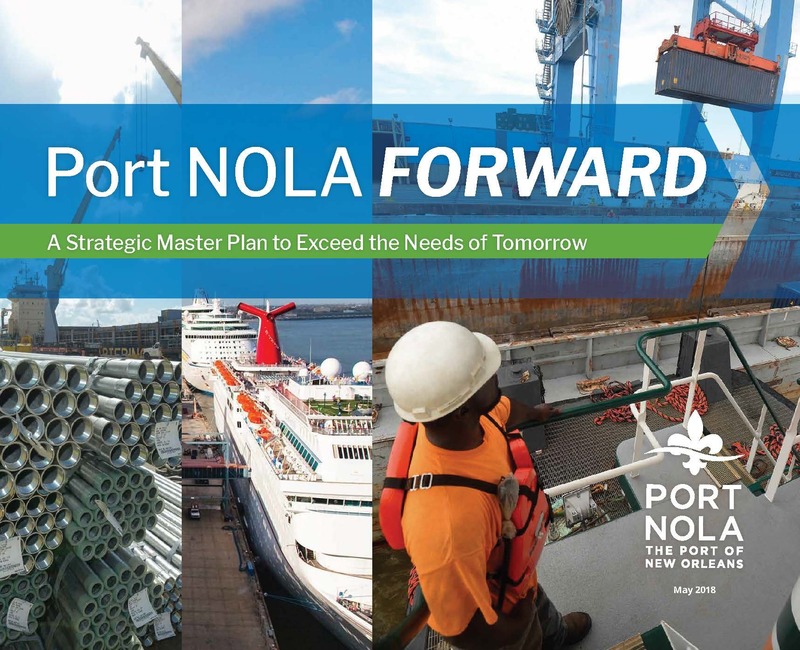 “The Port’s Master Plan was awarded the Excellence Award for marrying together robust and broad outreach with sophisticated technical analyses, resulting in a clear plan for the future with detailed implementation strategies,” said Derek Chisholm, APA Louisiana President. To learn more about Port NOLA Forward visit: www.portnola.com/info/master-plan.